NOTE: This property has been removed from the auction. A pre-auction offer was submitted, and the seller chose to accept the offer. 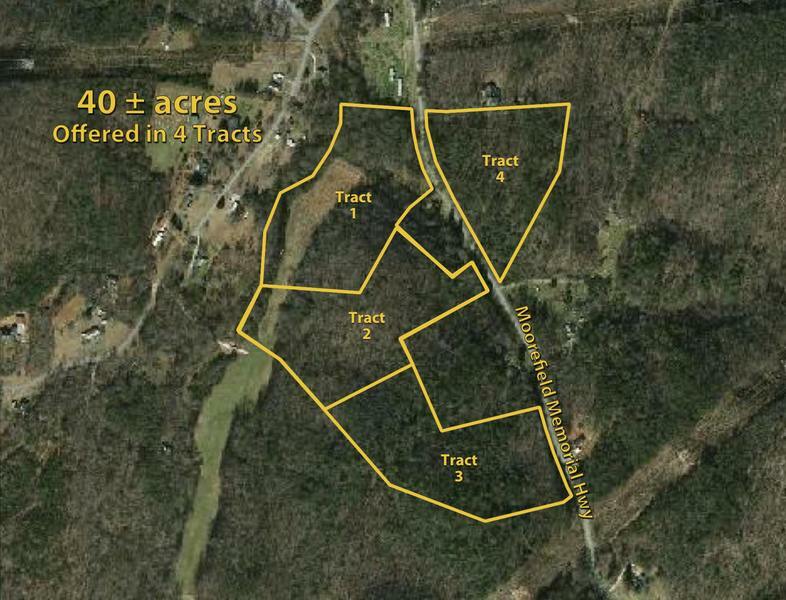 The property being offered at auction is 40± acres total. It is being offered in 4 tracts ranging from 8.14± acres to 10.63± acres. Tracts 1, 2 & 3 are contiguous on 1 side of the road. Each tract is 10.6± acres. Tracts 1 & 2 have a creek as the rear property line. Tract 4 is across the road. It is 8.14± acres. Be sure to watch the video for more information on this property. Coming soon. There is a new survey in the Contract Package. Download the Contract Package under Documents link above.